Fronius solution for heat generation Using solar energy intelligently. A large proportion of energy requirements in the home is used for heat. Covering this expenditure of energy from your own PV energy not only increases the self-consumption of a PV system and with it the yield – it really makes sense to use the PV energy in your own home. With the Fronius Ohmpilot, we are introducing our most efficient solution for the use of solar energy for heat generation. 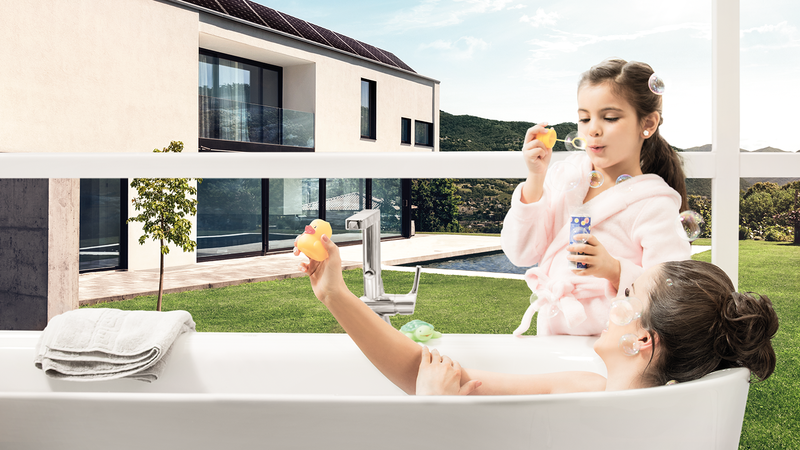 Thanks to the Fronius Ohmpilot consumption regulator, PV electricity can also be used very efficiently to provide hot water. Whether it is a heating element, towel radiator or an other ohmic consumer, as soon as surplus energy is available, this is fed directly to the consumer via the Fronius Ohmpilot. The result? Optimum use of the PV energy in your own home. All this in a fully integrated system from a single source.